The ultimate hat for an active outdoor customer. This vented panama features a UV protective underbrim that provides ultimate protection from the sun. The chin strap feature makes it ideal for all outdoor activities. The tear drop bubble crown is a 4 1/2 inch tall pinch. The brim is 3 inches wide. 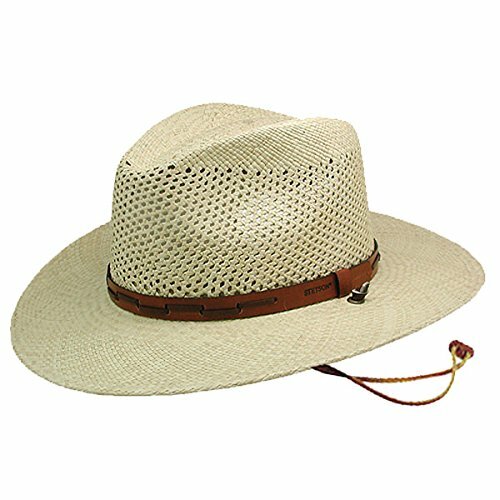 This is the top selling Stetson outdoor style and is a featured style in the 150th. Anniversary collection from Stetson.